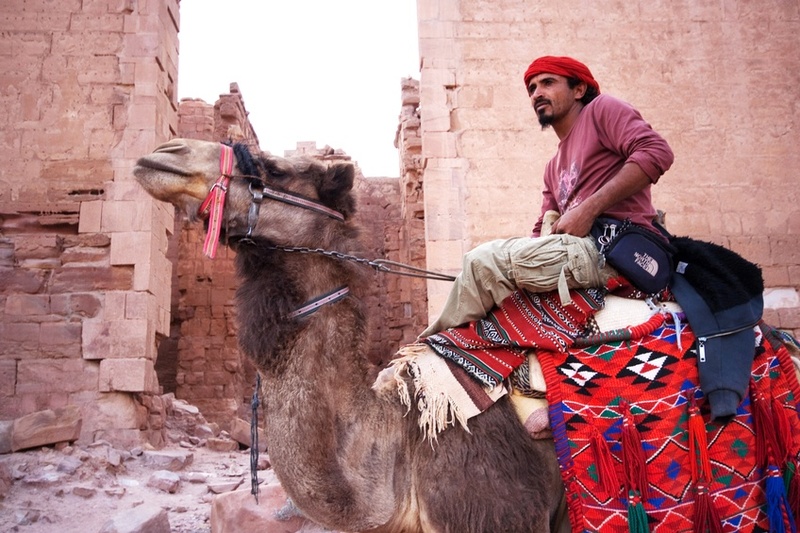 Jordan Profile: History, Culture, Geography, and More! After a long absence we’ve returned to the Middle East this week to explore the fascinating country of Jordan! Human habitation in Jordan dates back hundreds of thousands of years. Though the details are understandably hazy when we get that far, we do know that Jordan was under the rule of many of the great empires of antiquity – stretching from Ancient Egypt around 1500 BCE to eventual assimilation into the Roman Empire. But we’re getting a bit ahead of ourselves. It was the conquest of Alexander the Great that paved the way for Hellenistic, Western influence in Jordan alongside the existing Nabataean Kingdoms (of Petra fame). The Greeks founded cities, and when Rome conquered Jordan in 63 BC, these cities began to be linked even more to the outside world. In the end however, the story always ends the same way: the Roman Empire collapsed and the Eastern Empire (the Byzantines) was left with sovereignty over the Levant. Throughout the 7th century, followers of the new Islamic faith initiated a successful conquest of Jordan, which Arabized the land. Over the next couple centuries, the Abbasid Caliphate came to power, followed by the Fatimids. During the mid-Middle Ages, the Crusader Kingdom of Jerusalem ruled over Jordan until the legendary Saladin succeeded in driving them out. The end of the Medieval era did not mean an end to power struggles in the region. Arab forces from Saudi Arabia and Egypt both attempted to exert power over Jordan while foreign forces (like the Mongols) made inroads as well. For the most part however, it was the Ottomans who ruled in Jordan. In the midst of WWI, the Arab Revolt brought an end to the increasingly unpopular Ottoman rule. Under the leadership of the ancient Hashemite clan, a degree of independence was achieved (though the country was not internationally recognized). Instead the Emirate of Transjordan (as it was known) became a British protectorate in 1921. Raiders from nearby Najd caused havoc, but the Jordanians were able to repel them with the aid of the British and Bedouin tribes. In 1946, a treaty was signed granting Transjordan independence – known three years later as “The Hashemite Kingdom of Jordan” (after the ruling royal house). The next several decades saw many conflicts with the burgeoning Israeli state – including the 1948 Arab-Israeli War, the Six-Day War in 1967, and the Yom Kippur War in 1973 (many fought over the sovereignty of the West Bank). Starting in 1991 however, negotiations were undertaken to reach a peace between Jordan and Israel. A treaty was signed in 1994, making Jordan only the second Arab country to reach peace with Israel (after Egypt). Since coming into the throne in 1999, King Abdullah II has increased foreign investment and helped grow the economy (despite the negative effects of the recent recession and migrant crisis). Jordan is commonly held as one of the most liberal and peaceful countries in the Middle East. Though the King retains far-reaching powers, there is talk of increasing democratization in Jordan – though the pace is relatively slow. The culture of Jordan is predominantly influenced by Arab identity and Islamic faith, though many Western elements have also taken root here. This is thanks in part to British rule, openness to the international community, and its historical location at the crossroads of many great empires (both Western and Eastern). Music is one of the most enduring elements of Jordanian culture, and features a wide array of traditional instruments unique to the country as well as more modern rock and electronic artists. 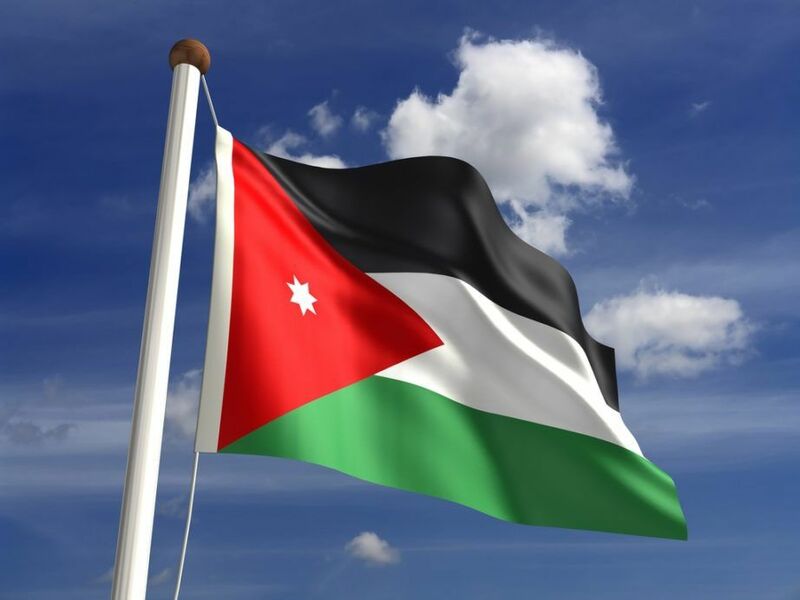 The Jordanian flag comes from the time of the Arab Revolt against the Ottoman Empire. 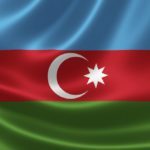 The colors themselves (black, white, and green in horizontal stripes, and red in a chevron) are known as the Pan-Arab Colors. As they relate to Jordan, black represents the Abbasid Caliphate, white the Umayyad Caliphate, green the Fatimid Caliphate, and red the ruling Hashemite dynasty. Finally, the seven-pointed white star in the chevron stands for the unity of the Arab people (or seven verses in the Qur’an or seven aspects of faith in one God or the seven hills of Amman). Jordanian food is similar to many other nearby countries, though includes a fair few unique elements. Olive oil is hugely important (thanks to a large amount of olives produced in the country) while hummus, baba ghanoush, and tabbouleh (among others) are all popular meze (platters/appetizers often served with alcohol – usually arak). The national dish is mansaf, which comes from Bedouin tradition, and consists of meat, rice, and yogurt. Soccer is the most popular sport in Jordan. 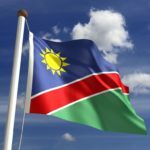 While the national team has not qualified for a World Cup, they have been improving as of late (missing out on the 2014 edition in the final qualification playoff). Other sports are also followed in the country, including rugby union. Jordan rests near the confluence of Asia, Europe, and Africa in what is known as the Fertile Crescent (also called a cradle of civilization). Throughout the country you can find a wide range of environments and climates, including: arid deserts with occasional oases, fertile highland regions, mountainous-forested areas, Mediterranean climates, and more. The majority of Jordan’s cities are found in the fertile northwest of the country. 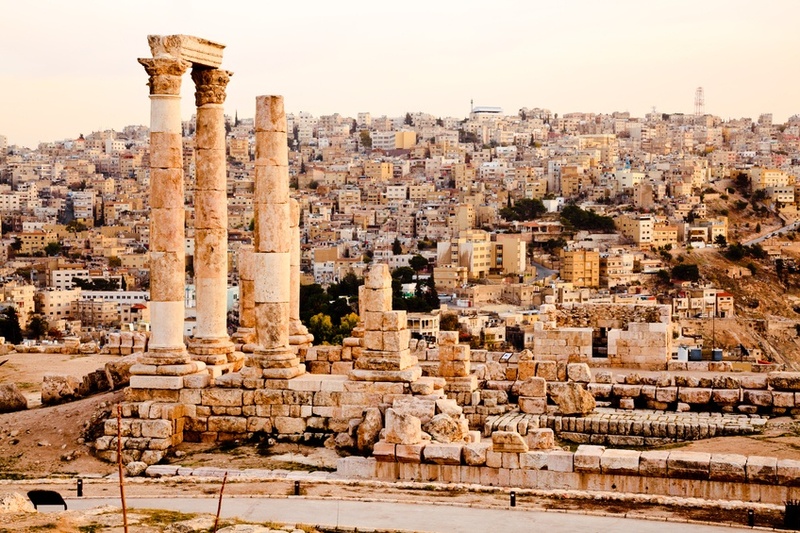 The largest city is the capital, Amman, which is home to just over 4 million people. Besides being the political centre of the country, it is also a major tourist destination and one of the most Westernized and liberal cities in the Arab world. Since the beginning of human civilization, Jordan has had a place in the narrative. 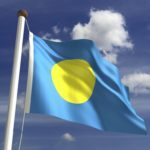 What stories will be told of the country now however? Only time will tell. Get all our Profiles, Travel Guides, and Currency Spotlights with Continental’s Countries. 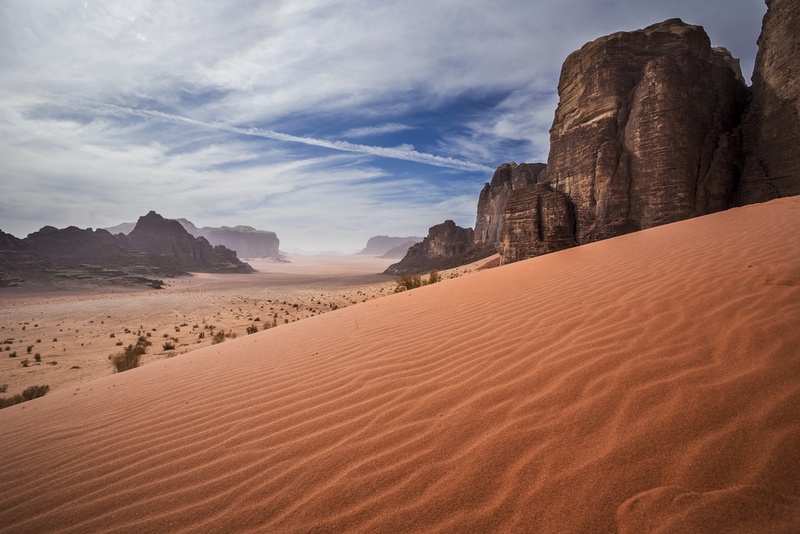 Start your adventure through Jordan with our Travel Guide then get a crash course in its currency with the Spotlight!